Investors can purchase mutual funds within tax-advantaged retirement accounts and investors can also purchase mutual funds outside their IRA accounts. The best IRA mutual funds usually have funds with high turnover rate that can give you big capital gains. You can expect good returns on investment through mutual fund investing. 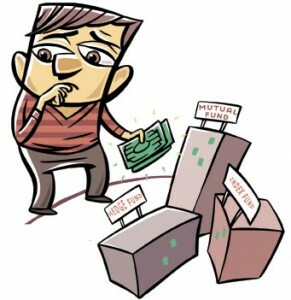 Generally, there is no such thing as a mutual fund loan. Technically, borrowing money from mutual funds directly is not allowed. However, if you have a mutual fund account, you can open a margin account. In a margin account, you can borrow money from the brokerage against your mutual fund which stands as a collateral for the loan. There are implications involved if you choose this path. As you know, mutual fund’s value fluctuates based on the market movement. Therefore if the fund’s value goes down, you may be cautioned to a “margin call”. This means the brokerage firm will ask you to deposit cash immediately in your account to bring back the value of the account. If this cash is not deposited then the brokerage firm will sell your mutual fund to cover the loan. This action results to unwanted tax liabilities. You can follow a certain formula to know how much you owe or how much you should deposit, however, this is just a general rule and it doesn’t mean that brokers follow the same principle. Simply deduct your equity from the market value, if it comes out negative then that is the money you owe. If it comes out zero then you owe nothing and if it comes out positive, that is the amount you need to pay back. How mutual fund loan rates are calculated? If taking out cash against the value of your mutual fund does not work for you, you may consider taking out cash through money market loans. These are short term loans that have one year or less maturity. Money market loans allow you to borrow money against the value of your “paper” which can be treasury bills, commercial paper, banker’s acceptance or any negotiable contracts. You may ask your lending institution about money market loans to give you options. If you are starting a business or established a business, you may consider hedge fund loans that you can ask about from your lending firm as well.